Past Professional Development Committee programs include day-long institutes, lunch and learns, supervisor trainings, retreats for classified staff, new staff orientations, social gatherings, and staff recognition. For a list of upcoming events, please see calendar of event below. Thank you for supporting YOUR Student Affairs Professional Development Committee! 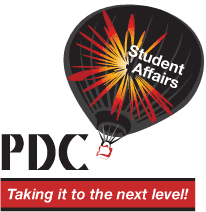 You can contact the PDC with workshop ideas and questions by sending an email to vpsapdc@louisville.edu.